We started Mr. Cover All because we felt people should enjoy the outdoors in beautiful British Columbia. Living in the Lower Mainland and the Greater Vancouver Area means being accustomed to all the tricks Mother Nature has up her sleeve — especially when it comes to heavy rains, blustery winds, chilling snow, and beating sunshine. You may choose to retreat into the creature comforts of your home’s interior, but we at Mr. Cover All would like to offer you an opportunity to enjoy your outdoor space all year round with some of the industry’s finest aluminum European and Canadian-made patio canopy covers, retractable awnings, exterior roll screens, and security roll shutters. If you have decided to add function, beauty, and elegance to your outdoor enjoyment and living space, a retractable awning, deck canopy, stylish roll shutter or power screen can be the perfect environmental solution. Here are the reasons why you should purchase and install your environmental solution with MCA Ltd.
MCA sources the finest materials and products with our amazing network of manufacturers and suppliers, so you can always count on a solution that is perfect for you. All MCA products are crafted with pride in Canada and the USA. With MCA, you get years of experience, new-age ideas and systems, a trustworthy name, high-quality products, and a family-owned company that cares about you and your experience. MCA offers one of the largest selections of fabrics, materials, and frame colors for your outdoor cover solution. You can select from a wide variety of products and options to create your unique cover system. Want a particular color? Is your deck not as useable as it could be? Do you want automatic functionality? All of these things can be accommodated with MCA – your choices and options are immense. Check out all of our products! We love our customers and strive to meet and exceed their vision. Much of our growth and success has come from customer referrals. MCA customers who have been satisfied with the quality of our products and the service that comes with it constantly recommend MCA to their friends and neighbors, and continue to purchase our products. We also offer an amazing referral reward program as our customers are our legacy of excellence. Your investment in quality long-term cover products installed by professionals will provide you with a better lifestyle that you and your family will enjoy for years to come. Our assortment of solar and environment covers and screen products offer you a better solution for your outdoor protection needs while providing you with cool, covered comfort and enhancing the beauty and decor of your home. When you have an MCA professional install your new cover, you get the most for your money as well as the satisfaction of knowing the job is complete. MCA will install on virtually any surface: on a wall, over a window, under a skylight, over a pool, on your roof, under a soffit, over a solarium, on a boardwalk, or even free-standing out in the open – the possibilities are endless. We offer the largest assortment of products from the best vendors in the industry. Our staff are friendly and have great knowledge of the products we offer, and our install team is amazing at bringing it all together with the skills to make your dream a reality. If you want the most knowledge, best price, widest assortment, and best install, then give us a call or request a quote. We are excited to work with you. We have the most solutions to install awnings. We are able to setup your awning with wall mount, roof mount, soffit, or custom builds. If it’s safe to do so, we will hang your awning almost anywhere you want. Above windows, over canopies, patio covers, or deck covers. Once we have talked with you, we offer professional consultations to measure and size as well as preview the patterns and colors. All purchases include professional mounting and installation services. This was my 35 unit co-ops second time using Mr. Cover All. Installed a post and beam glass cover over exterior fire exit doors on the roof. Matches perfectly with their previous work. They are easy to work with, provide good advice, good price, on schedule and excellent workmanship by installers. Thank you Cecil & Brandon. Your on our preferred contractor list. Mr. Cover All has done an amazing job on our project, we couldn’t of found a better company. From start to finish everything was professionally done from the owner and staff. I highly recommend you don’t go anywhere else but here for all of your awning needs. Thank you Cecil!! I am a 35 year building contractor. I have worked with Brandon many times. I will continue to use and recommend Mr. Cover All for years to come. They have always done my awnings on time and on budget. Equally important, they take the time and effort to explain everything to my customers. (Before the sale and after the install.) The installation team has always been friendly, fast, and clean. It was installed about a week early and it only took about 1.5 hours. They made sure I understood the workings of the awning before they left. I had to call them twice after but returned my call promptly. They came the next morning and had it fixed in 5 minutes then went over the entire system to make sure everything else was ok. Cecil is great to do business with and backs up what he sells. The best customer service for me, I am in the process of getting an awning and they were very prompt on getting back to me with their quote. Faster than any of the other three companies I dealt with. We contacted 3 awning companies. One of them was Mr. Cover All. Cecil came out, and gave us good choices on materials, as there are restrictions. The price was far better than the other quotes. The quality was equal to or better than the others. The material was Sunbrella, and the frame very heavy duty. Once installed the bedrooms off the back deck cooled down. The free hanging custom unit installed 3 levels up looks beautiful, like it belongs, and not an add on to a 35 year old building. The 3 post and beam patio covers are stunning. Installers Rocky & Steve were personable, punctual, fast, clean and most all respectful to our members & their units. Thanks for all your time helping us find exactly what would work for our situation and on budget as well. Great service from beginning to the end. Cecil was good to work with and the install guys were very professional and helpful. Thank you all very much. These folks really have their act together from start to finish. Entering your request on their website gets a quick response. Cecil is very professional, knowledgeable and personable. He offered some great advice on what would work best to meet our needs. The installers were very polite and considerate to ensure no damage occurred and that the unit was installed to our full satisfaction. Cecil’s experience in this industry gave us peace of mind knowing that safety was always going to be his first priority. He also has a keen eye for aesthetics which was important to me as I’m very picky about these types of things. Cecil even helped us pick out the Sunbrella shade that would best match our home. We are so glad we went with Mr. Cover All and we would highly recommend them. I have to say that we love our awning. We live in South Vancouver and have received many compliments. Cecil was accommodating and I can’t wait till summer to enjoy my patio. Thanks again. Cecil and his team of installers at Mr. Cover All offer a quality product and strive to ensure a solid installation. We’ve used their services twice and plan to hire them again in the spring. We certainly recommend them to make it a positive experience for you, too. Wow the whole experience was great! Mr. Cover All came and gave me a price and said his installation staff would be at my place within a week. They were very professional, and even finished the cover within the time they said. My family loves our new cover and would suggest Mr. Coverall to any family. Thank you Mr. Cover All and staff for my family’s great experience! We are very happy with our new patio cover and privacy screen. We would highly recommend Mr Cover All. They use heavier gauge material than other suppliers. Cecil and his installers are very professional and they made sure we were more than happy with the install before they left. Our awning is in great shape and operating perfectly. My wife asked me to let you know that the awning at our deck was the best decision among all the other improvements to our property. During the past two years it has served to shield off the UV rays and heat to our kitchen and dining area. In the world of today, it is a pleasure to find a service provider which handles enquiries, sales and installation in such a professional manner. I would not hesitate to recommend them and indeed have done so. From the initial service appointment through to completion, the technicians were courteous, polite and professional. Our neighbours saw the product and had one installed on their back deck. We had Mr. Cover All install a great retractable awning and was completely satisfied with the quality, service and installation. I would recommend them for any service they provide. We are extremely pleased with our Mr. Cover All Awning. The price was very competitive and the materials of the highest quality. The installation was done quickly and professionally. With a wide variety of colours and styles it was easy to satisfy our strata bylaws. With the electric motor it is very easy to extend and retract. We highly recommend this family owned Canadian Company! Your guys were great and very professional, and knew exactly what the problem was and why it had been caused. We have had several people admiring the awning and I know that as a result, very good friends of ours have ordered from you for a new place in West Vancouver. I will tell him how good your guys were. Looking forward to the sun coming out, so we can use the awning again! It was a pleasure to deal with Cecil and our installer Steve. A great product, a fair price, delivered on time and installed by a professional. Couldn’t be better! I have been working with the group at Mr. Cover All for about a year now. Their service and reliability is next to none. They go above and beyond to get the job done right and on time! Mr. Cover All has excellent products for your patio cover & deck cover needs. Retractable awnings, deck canopies, exterior roll screens, security shutters, and more. 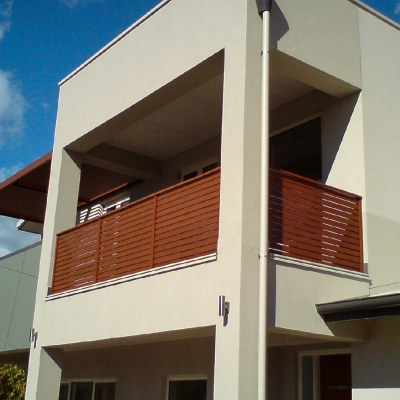 They offer superb customer service and installation workmanship. Highly recommended. We had a great experience in dealing with Cecil and Mr. Cover All. Our roof deck collapsed under the snow and I sent an email asking for a quote and literally five minutes later he called asking whether everyone was ok and how he could assist. The end result was great and we are very pleased with the product and we know that we won’t have to worry about the roof ever collapsing again! Just to say thank you for installing the shutters and your installers are great; we enjoy the shutters so much for their functions. From the initial quote, installation, and post installation follow up, we were extremely pleased. All 3 people we dealt with were professional, knowledgeable, and reliable. The workers arrived on the day and time as planned. They were prepared and the work was completed as scheduled. A request from us for an unexpected follow up was handled promptly. We will recommend Mr. Cover All to our friends! Mr. Cover All’s quote was VERY competitive. The guys were professional, early risers, and respectful. They take into account the strengths of their teams and assigns them to the jobs that lines up with their expertise. From start to finish, Cecil replied to every one of my emails and phone calls. You won’t be disappointed with the workmanship. Cecil is incredibly knowledgeable in this industry. Our dealings with Mr. Cover All has been excellent from the initial contact and site visit, through installation, and now with post-installation follow-up. We are completely satisfied with all aspects of their work, in particular customer service and their attention to detail. The cover was finished in just over two days. It looks terrific and I can’t really describe how wonderful it is to really have a deck we use. It truly changes the space. If you are thinking about a covering for your deck, you must call Cecil – super polite, professional, on time and actually did more than we asked for. This was simple and easy. We could not have asked for a better experience. We had 2 awnings installed this spring and have used them in sun and light rain. The large one over our deck has extended our living space and has provided a sun-safe place for our granddaughter to play. There was an initial glitch in the installation and it was readily and professionally fixed to our great satisfaction. We have no hesitation in recommending this company’s service and products! Just so you know and have heard it from me that they are doing a super job and are very polite and most professional in appearance and character. Thanks again. You guys run an awesome business and I would have no problem giving a referral if you ever need one. We were very impressed with the price, installation and speediness in getting back to us with our retractable awning-excellent service and would highly recommend them. 5 Stars. Prompt, Efficient & Professional! My family would not hesitate to use you again or recommend your company to a friend! I truly cannot say enough good things about Mr. Cover All, from initial contact, to the efficency of the time line, the quality of the work and the after the job was complete customer service..you’ve been a pleasure to work with….thank you so very much for your kindness & professionalism! A wonderful experience with Cecil and Mr. Coverall. Professional and always on time. What he says, he delivers! We now have an awesome awning over our patio to help shelter us from both the sun and golf balls! We live outside almost all summer now! We would not hesitate to recommend him to everyone. I am extremely happy with both our remote control awnings over our two back decks. They both look fantastic and we’ve been using them ever since. They’ve literally created outdoor rooms for us to enjoy for our dinning & hot tub areas!Walter was very professional, courteous and helpful. Thank you! Very happy with the product, we will definitely recommend it. We love the product and will do our best to promote it for you!! Very pleased with the workmanship and manners of the installers.